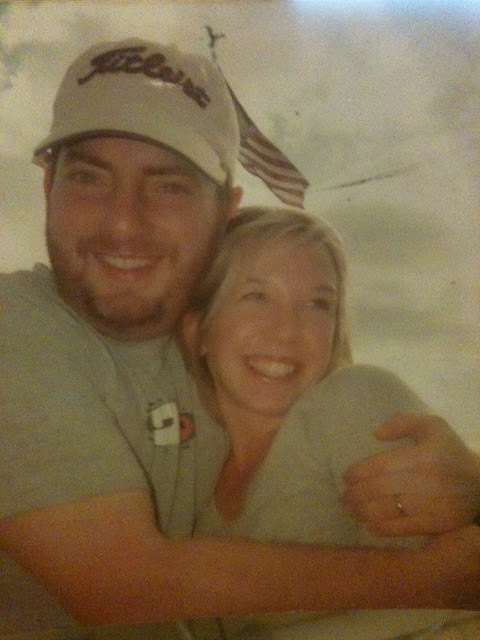 This is one of my favorite pictures of my husband, Tim, and me. My daughter Lucy took it when she was four years old. She was sitting in one of those giant, fabulous Disney World strollers, looking up at us and she snapped this photo. We were really happy that day. She saw it. She knew it. She captured it. At the end of the article, there was a challenge for moms to take pictures and to stay in the picture, with their kids. Almost 2,000 moms shared their photos on HuffPost.com. And I bet a lot more took pictures but didn't post them. That article was moving, inspiring and hit a nerve in so many mothers. I've never had a problem jumping in front of the camera or documenting myself (um, I have a blog and vlog). But the article got me thinking about what pictures I want my kids to have. What I want my kids to know. What part of our story I want them to always hold onto and share with their children. The story of their parents. Just like the picture of Tim and me in Disney World, I want my children to know we were happy and in love. And I love to see how they see it. Getting ready for our roles in the Christmas Pageant. Um, our kids might take away that we liked to dress up in costumes. Hmmmmm. Sometimes the whole let your kid take your picture idea doesn't work out so great. The few pictures I have of my parents together are treasures. Some of the candid shots reveal their silliness with each other, their love. I treasure those pictures because they tell the story of my parents before it turned ugly and full of hurt. Before the divorce. Before the bitterness. Before my mother went crazy. I'm not planning on going crazy(er) or getting divorced, but that doesn't mean the pictures of Tim and me won't be treasures to our children. I want our children to remember all the good parts of their story. The silliness, the love. Hell, if nothing else, the pictures will be great shots for our 50th wedding anniversary video/slide show. So, my challenge for you is to take pictures of you and your beloved, your co-parent, your partner. Leave that legacy of happy to your kids. Since we're talking pictures, I feel it necessary to encourage you to be a part of instagram. It's so fun. 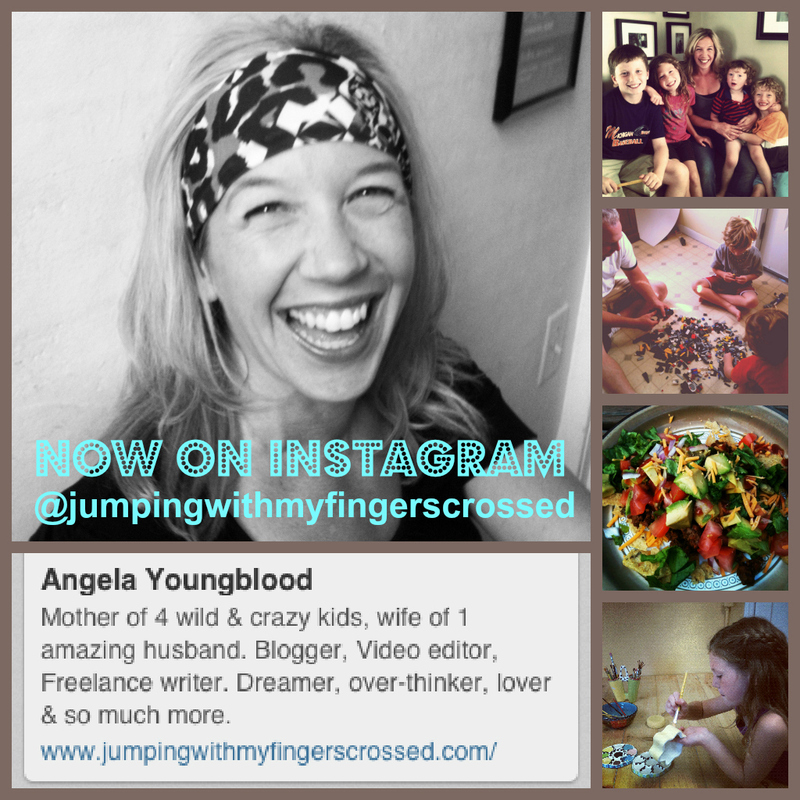 If you're already living it up over on instagram, follow me @jumpingwithmyfingerscrossed. so much yes. i can't possibly fit it into one comment. big love to you!